The family of a Lynwood man who was fatally shot by a sheriff's deputy is seeking $10 million in a wrongful death claim against the Los Angeles County Sheriff's Department. Edgar Villareal died April 9 after a sheriff's deputy shot him several times. There is stark disagreement over the basic facts of their encounter. The Sheriff's Department says the deputy fired in self-defense after Villareal pulled out a gun and fired at the deputy. The attorney for Villareal's family denies that Villareal fired, and, citing medical reports describing his bullet wounds, contends the deputy shot him from behind. Relatives of a man shot and killed by LA County Sheriff’s Deputies say that the man was targeted by authorities, and that a cell phone video proves. The deputy told investigators he shot in self-defense. Attorneys hope that the neighbor's cell phone video that captures the last five rounds of shooting will help their case. Patrick Healy reports from Lynwood for the NBC4 News at 6 p.m. on June 4, 2013. "He ambushed Villareal," said attorney Jaime Segall-Guttierez. The attorney released records from St. Francis Medical Center, where Villareal was taken after the shooting, that report "at least seven gunshot wounds with GSW to back of head, neck, R arm and at least 3 to 4 wounds to back and 2 to buttocks. DOA." That apparently none of the shots entered from the front could be explained by Villareal turning after firing, said sheriff's spokesman Steve Whitmore. "It's important to remember he did turn and fire on the deputy," Whitmore said. Tuesday, Segall-Guttierez also released cell phone video of the end of the incident. The video appears to have been taken through window blinds and is partially obscured. As the video begins, Villareal is already down at the edge of the roadway. Five shots are heard and in a driveway about 12 feet from Villareal, a deputy can be seen with both hands pointing what appears to be his handgun toward Villareal. Villareal, 25, had previous encounters with sheriff's deputies in Lynwood, including one within a month of his death, family members acknowledged. After being stopped in March for alleged auto theft, Villareal took off on foot, but was caught by a sheriff's K9. "He was lost and trying to get his life back in place," said sister Kenia Villareal, who has been caring for her brother's 3-year-old daughter. Working part-time as a tattoo artist, Villareal had struggled with substance abuse, the sister said. At the time of his death, medical personnel discovered a plastic bag with unidentified pills hidden on his body, "tucked into intergluteal fold." Villareal had recently finished a six-month, live-in drug rehabilitation program, and continued in an outpatient program, according to sister-in-law Alicia Palacios. "He was trying very hard," she said. Palacios acknowledged Villareal might have carried a gun "for protection," but refuses to believe he fired, despite the shell casings the Sheriff's Department reported finding. Family members said Villareal was walking westbound on Agnes Avenue to a friend's home. He was spotted by a deputy who stopped and attempted to contact him, according to Whitmore, the sheriff's spokesman. "We've been told a different story by neighbors," said Palacios, contending the deputy was waiting in the driveway, out of view behind a fence, before Villareal arrived. Those witnesses cited by the family could not be reached by a reporter who knocked on their doors Tuesday. Another neighbor, who declined to give his name, said he came to the window after the shooting and could see Villareal had a gun when deputies turned him over. 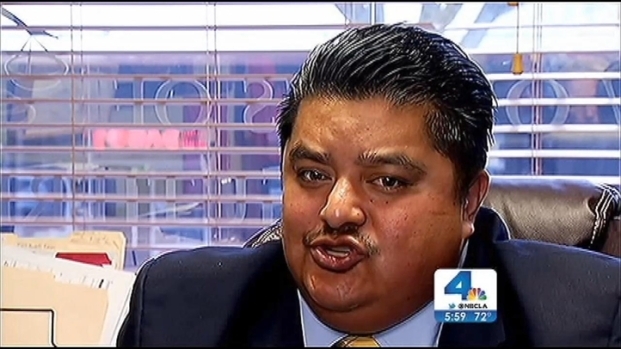 The County of Los Angeles has 45 days to respond to the claim filed by the Villareal family. If denied, the family can proceed to file a lawsuit. Guttierez intends to file in federal court, alleging deprivation of civil rights, he said. Guttierez sees parallels to the 2010 death of Jonathan Cuevas, who was shot while running from a deputy who attempted to stop him on Long Beach Blvd. The Sheriff's Department initially said Cuevas had a gun. It was not visible in security camera video. Guttierez represented the Cuevas family, which recently reached a settlement with the Sheriff's Department. By the department's count, last year, deputies shot 41 people. Seventeen died. Year to date, deputies have shot 15, eight fatally. Legal claims and lawsuits for all reasons against the Sheriff's Department have resulted in payments totalling $100 million over the previous three years, Supervisor Gloria Molina said in January.